Over 50 students and graduates battled through the snow on Saturday 23 and Sunday 24 March to attend the first BSEEN Business Start-Up Training weekend at Aston University. During the two days participants learnt techniques for objective setting, action planning, adapting and influencing, business basics and financials. 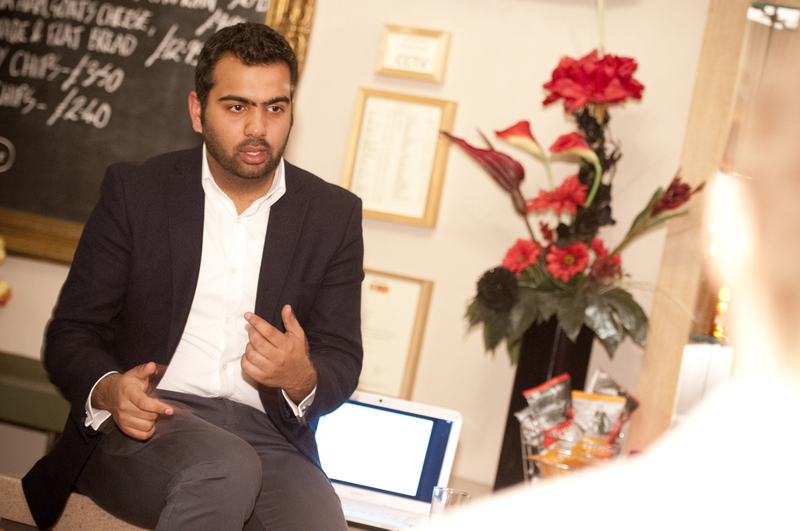 They were also given an insight into the world of marketing and social media. On the Saturday evening a networking event was held at Primitivo restaurant in Birmingham. Aston University graduate Dilesh Bhimjiani, Director of VIVA Aspire, inspired the group with a presentation about his business journey since setting up whilst at university just five years ago. Following the weekend students and graduates attended a Business Registration Workshop and received some free legal advice in a presentation from DWF Solicitors on setting up in business. All participants had undergone a rigorous selection process to secure their place on the programme by presenting their business idea to an interview panel.